For me, that last tip took some time to figure out. But, (Hooray) I found the best lip treatment ever!! At first, I didn't think it worked. After giving it some time (like a week), I realized that the effects are cumulative. If I stop using it, or become internally dehydrated, the peeling starts all over again, so I have to stay on top of it. I also can't stand the taste, so I guess its not perfect, but for someone who has spent a lifetime of watching other people stare at my peeling lips, its pretty darn good! 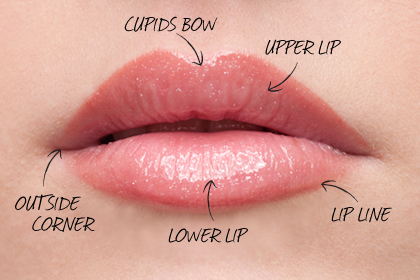 Also, as a side note, I love this lesson on lips at totalbeauty.com. Awesome, check it out! Mia, I've got another awesome product that I live by. You have to get Elizabeth Arden's Eight Hour Cream. It works on lips, cuticles, and any other dry skin. Everyone in South Africa uses it. Even when I've burnt my lips to a crisp at the beach, after smearing this on it, they are back to being soft and normal. TRY IT! 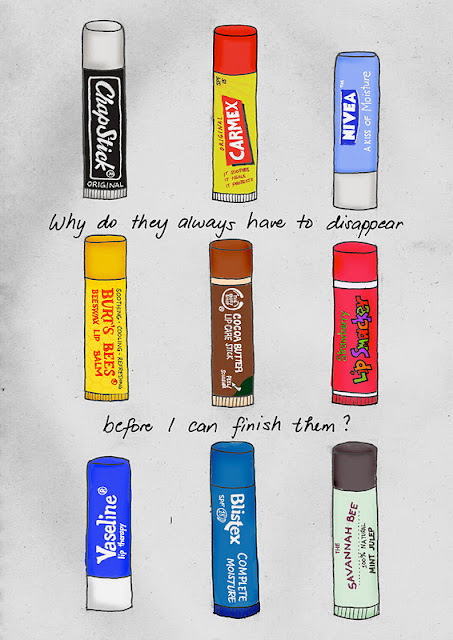 Well, I use the one by Burt's Bees and I only apply it at night. Also, I exfoliate with a sugar and grapeseed lip product made by Smashbox. I've heard the lip balm by La Mer is really good - however i have not tried it. you should try blistex silk and shine. it smells good and works really well. i'm also a fan of burts bees!